We strive to provide our guests with an exceptionally clean, safe, and friendly hotel experience. The following Hotel Policy/House Rules have been established based on industry standards, management and operational procedures, and our personal experience of owning and operating the Hotel Armada Petaling Jaya since 1997. These Hotel Policy/House Rules are considered a part of our reservation agreement with you. As our hotel guest, by reading and signing your hotel registration you are agreeing to abide by all of our Hotel Policy/House Rules, terms and conditions, and procedures. These Hotel Policy/House Rules are presented here to help promote our guests’ safety and enjoyment and to ensure that each guest is aware of the understandings between the Hotel Armada Petaling Jaya and the guest. Our Hotel Policy/House Rules may change from time to time, so please check back often. Hotel Armada Petaling Jaya has been 100% Smoke-Free since 2017. For safety and to assure that our facility is not exposed to items or actions that create an odor which is unhealthy and objectionable to our guests and staff, and that is difficult to remove from the air, carpet, walls, and furniture we do not permit smoking tobacco, illegal drugs, e-cigarettes, vape pens, vaping, cartridges containing the liquid of nicotine, hookahs, incense, cooking, cigars, candle burning, the use or diffusing of patchouli oil or other strong-smelling plant-based essential oils or synthetic products in our facility. A minimum fee of MYR 1000.00 will be charged if any evidence of smoking is found in the non-smoking room. Guests are encouraged to notify Front Desk staff immediately if they smell cigarette, or other objectionable odors. This policy is not intended to stop people from smoking, but to regulate where they smoke and how it affects others. A Designated Smoking Area is provided outside and away from the building. Illegal Drugs is prohibited at all times. All reservations must be guaranteed with a valid major credit card. Guests must be 18 years and older. We do not charge your credit card at the time you make your reservations. Your credit card guarantees your reservations. Please make sure to receive a reservation confirmation number when you make a reservation. Reservations must be cancelled Forty-eight (48 hours), hotel time, prior to your arrival date, in order to avoid a one (1) room night, plus tax cancellation fee. Reservations will be held until 4:00 p.m following your scheduled arrival date. If you have not checked in by that time, a NO-SHOW charge of one room night, plus tax will be charged to your credit card and the balance of your reservations will be cancelled. Hotel Armada Petaling Jaya is not responsible for weather conditions, personal emergencies, or schedule changes. Early check-in is offered based on availability. If you require a guaranteed check-in for arrival prior to 4.00 p.m. then Pre-Registration and payment may be required. Please contact Front Desk staff directly to make reservations and complete a credit card authorization form prior to your arrival (603) 7954 6888. Guests must be at least 18 years of age to check in at Hotel Armada Petaling Jaya. In the interests of security and to prevent fraud, guests are required to confirm their identity by providing their valid government issued photo identification (A valid Driver’s license, passport, etc.) at check-in. A valid, signed, and pre-approved credit card in the name of the guest registration is also required. It is your responsibility to fully understand the manner in which your bank processes pre-authorizations and charges to your credit/debit card. Some banks hold pending authorizations for up to 30 business days. A pre-authorization is a temporary hold of a specific amount of your available credit limit balance placed on your credit/debit card for the full amount of your intended stay, plus tax. All credit/debit cards are pre-authorized at check-in. Pre-authorization is not a charge to your account, it is a hold on those funds. Once your actual charge is posted at check-out it can take anywhere from 24 hours to 30 days for the original pre-authorization to be removed by your bank. If you change your method of payment at check-out or change the length of your stay, your bank may not post the changes to your account immediately. Hotel Armada Petaling Jaya has no control over the policies of your bank and will not be held liable for any “insufficient funds” penalties or any other resulting fees or charges. It is your responsibility to fully understand the manner in which your bank processes pre-authorizations and charges to your debit or credit card. Some banks hold pending authorizations for up to 30 days. Check-out time is 12 p.m. If you require a later check-out, please contact Front Desk prior to the day of your departure and we will do our best to accommodate your request. A charge may apply for late check-out. Guests who check out of the hotel after 12:00 p.m. and prior to their scheduled departure date are subject to an early departure fee of one night, plus tax. Hotel Armada Petaling Jaya is not responsible for weather conditions, personal emergencies, or schedule changes. Reservations must be cancelled forty-eight (48 hours) hotel time, prior to your arrival date, in order to avoid a one (1) night full room cancellation fee. If reservations are cancelled less than 48 hours before the arrival date, your credit card may be charged the full room charge plus taxes. If you are staying more than one (1) night, only the first night and taxes will be charged. If you cancel any reservation, you must obtain and save the cancellation number for your records. We will make every effort to honor special requests such as a specific floor or room number, adjoining rooms, roll-away beds, etc. upon your arrival. All special requests are noted on reservations and we will do our best to accommodate. However, the availability of these items cannot be guaranteed in advance. Handicapped compliant guest rooms are available and should be reserved in advanced; please contact the hotel directly (603) 7954 6888. However, the availability of these rooms are subject to availability. All reservations and registration must be guaranteed with a valid major credit card. We accept Visa, Master Card, American Express, and JCB Card. Credit cards must be signed. Cash (MYR) payment is welcomed with a signed and pre-authorized credit card. All guests are required to present a valid major credit card and government issued photo identification even if guests are planning on paying in cash upon check-out. Checks and foreign currency not accepted. We do not accept personal cheque for room payment. All rates are quoted in MYR currency, excluding tax. Rates may increase without notice. 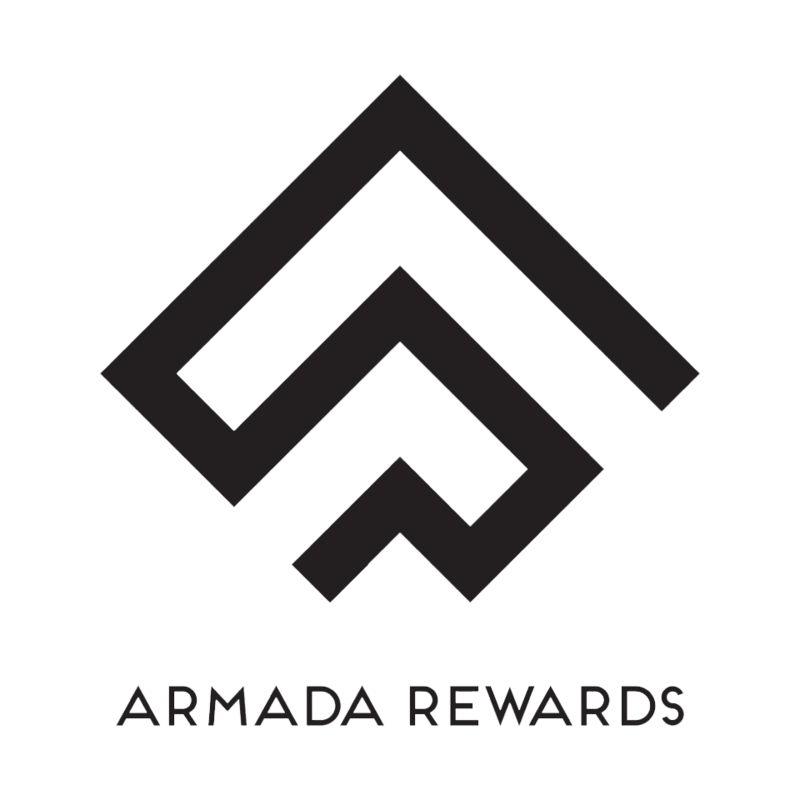 Rates as advertised on the Hotel Armada Petaling Jaya website or any other website or promotional material are subject to change at any time and may increase or decrease at the hotel’s discretion. Rates are based on, Deluxe (1-2 occupancy), Grand Deluxe (1-2 occupancy), Family Room (2-3 occupancy) and Premier Deluxe (1-2 occupancy) and are subject to availability. Generally, third party payment is not permitted. In the case of paying for a family member if you will not be physically present at the hotel, we require prior completion and approval of a Credit Card Authorization form including a copy of your Identification and the front and back of your signed credit card. You will be responsible for any and all damages and loss. We reserve the right to refuse reservation at any time for any reason. Please contact Hotel Armada Petaling Jaya reservations department at least 24 hours prior to guest’s arrival to request a Credit Card Authorization form. We are open 9:00 a.m. – 5:00 p.m.
(Monday – Sunday) We must receive the information by email armada@armada.com.my and process the approval for your reservations prior to the guest’s arrival. Hotel Armada Petaling Jaya is privately owned and operated. We reserve the right to refuse service to anyone for any reason(s) that does not violate Federal or State laws. Hotel Armada Petaling Jaya will refuse to admit or refuse service or accommodation in our hotel or may remove a person, without refund, who refuses to abide by the reasonable standards and policies established by the Malaysian Government and the owners for the operation and management of the hotel. Hotel Armada Petaling Jaya will refuse service or evict a guest: for refusal or failure to pay for accommodations, is under the influence of alcohol, drugs, or any other intoxicating substance and acts in a disorderly fashion as to disturb the peace of other guests or is not in compliance with state liquor laws; acts in a disorderly fashion as to disturb the peace of other guests; is unable to properly supervise their children at all times, seeks to use the hotel for an unlawful purpose; seeks to bring into the hotel: an unlawfully possessed firearm; or something, including an explosive or hazardous or toxic substance, that is unlawful to possess and that may be dangerous to other persons; destroys, damages, defaces, or threatens harm to hotel property or guests; causes or permits persons to exceed the maximum allowable occupancy of room, refuses to abide by the reasonable standards or policies established by Hotel Armada Petaling Jaya for the operation and management of our hotel. 10:00 p.m. to 8 a.m. If you become aware of a disruptive guest, please contact Front Desk staff immediately by room phone or in person. Televisions, voices, or other devices must be kept at a respectful low level at all times. Doors should be opened and closed quietly. No congregating or running in halls. Visitors must notify Front Desk upon their arrival. Visitors must be accompanied by the registered guest at all times.As a registered guest, you are responsible for your visitor at all times. Connecting rooms are subject to availability and can only be booked directly through the hotel. Please call the hotel directly to discuss available configurations. Management reserves the right to enter a room with a known status of “IN” for reasonable purposes, such as an emergency, housekeeping, maintenance, verify that the room, its furnishings, and mechanical equipment are intact, or to address or prevent a violation of our Hotel Policy/House Rules. In the event of suspected illegal activity, management reserves the right to summon law enforcement to aid in eviction. The right to privacy ends when a Hotel Policy/House Rule is broken. Law enforcement will be granted immediate access to hotel property and rooms of evicted guests. Children aged 12 and under stay for free when sharing a room with one or more paying adult(s), using existing bedding. As the parents, guardians, or chaperones of children you are personally and legally responsible for and must supervise them at all times. For safety reasons, please do not leave children unattended in guest rooms or allow them to roam the hotel property unsupervised. A limited number of rollaway beds and baby cribs are available upon request. Availability is on a first-come, first-served basis. The charge is MYR75.00 each, excluding tax per night. Maximum capacity of baby crib or rollaway is one (1) per room. For safety, pillows are not provided for cribs. Room keys are issued to the registered guest(s). No room keys will be issued to youth under 18 at any time. I.D. is required if you have lost your key and require a duplicate. Please return room keys to Front Desk upon Check-out. Housekeeping is provided daily between the hours of 9.00 a.m.- 5.00 p.m. Housekeeping may start as early as 8.00 a.m. during peak season. Rooms are cleaned and inspected daily and a detailed log is maintained on each room and linen. If our investigation concludes that you have smoked in your room, cooked, or brought a prohibited item into our facility, you will be fined, and evicted without any refund. Your comfort is very important to us. For guests staying multiples nights, bed linen is changed on a rotation schedule. Used towels are exchanged based on your request. If Housekeeping is unable to change a bed due to personal items left on a bed, a note will be left. Housekeeping will be happy to change your bed linens and make your beds each day if all personal items are removed. Please contact our Front Desk staff if you have any additional questions or concerns. Hotel Armada Petaling Jaya assumes no liability for lost, misplaced, stolen, or damaged valuables or belongings. If you discover that you have left behind something of value to you, please call us immediately (603) 7954 6888 and we will try to assist you in locating your lost item. Hotel Armada Petaling Jaya is not responsible for any item left behind by a guest. However, any item, with the exception of perishable items, left behind by our guests and found after departure by Housekeeping will be collected, logged in, and kept in a secure location for collection by the owner for up to fourteen (14) days. Records of Lost & Found items are retained for three years. Reasonable effort will be made to notify the guest that an item has found. Perishable items, underwear, and miscellaneous toiletries are discarded. We would be happy to return your lost item(s) to you by postage / courier service. Your credit card will be charged packaging and postage, plus a MYR20.00 handling fee. A separate receipt will be mailed to you. Hotel Armada Petaling Jaya is not responsible for any item lost or misdirected during shipment / postage. Registered guests of legal age who choose to bring their own alcoholic beverages must consume those in their room. Alcohol is not allowed in public areas such as the lobby, restaurant, halls, etc. Alcohol consumed during special events served by a licensed caterer with permit to serve/sale alcohol is restricted to those 21 years old or older (valid photo identification required) and can only be consumed at that event venue. Please notify Front Desk in the event of a fire or other emergency. A map that shows emergency exits can be found on the back of your room door and in the Guest Room Information located in each guest room.The hotel is fully equipped with smoke detectors, fire safety information in Guest Room Information, and emergency evacuation plans on the door of each guest room. Please review this important information. Hotel Armada Petaling Jaya enforces a No In-Room Party Policy to ensure we can protect the hotel and our guests at all times. No parties, loud disturbances and/or noise-nuisance are allowed or tolerated on these premises. In the event of a disturbance, one polite request (warning) will be given to reduce the noise. If our request is not followed, the guest will be asked to leave the hotel without refund. Registered guest(s) is responsible for all persons visiting. Non-Registered visitors are only permitted until 10:00 P.M. If found with more “people” not listed on the Guest Registration Form after 10:00 P.M. your stay will be considered a party. You will be ordered to vacate the premises without refund and may be access Guest Compensation Disturbance Fee. Access to our WiFi is free for our registered guests. The hotel WiFi access code is subject to change without notice. WiFi signals are subject to change without notice depending on the room’s location, the status of our WiFi-equipment, and interference from other local wireless signals. Hotel Armada Petaling Jaya assumes no liability for guest use. Hotel Armada Petaling Jaya makes its best efforts to ensure that all the information that appears on its website is accurate. However, no warranty, expressed or implied, is given that the information provided on this website is error free. Hotel Armada Petaling Jaya does not accept liability for any errors and/or omissions, and reserves the right to change the information published at any time and without notice. All vehicle(s) must be listed on the registration at check-in. Parking for registered guest(s) is free. All vehicles are parked at the risk of the owner. Hotel Armada Petaling Jaya shall not assume liability or responsibility for any vehicle, occupants, or contents while operated or parked on the hotel property. If a vehicle is left in the hotel parking lot after the guest has departed (30 days) without the written consent of the hotel, the hotel reserves the right to have the vehicle towed at the owner’s expense. You are liable for any damage howsoever caused (whether by the deliberate, negligent, or reckless act) to the room (s), hotel’s premises or property caused by you or any person in your party whether or not staying at the hotel during your stay. Hotel Armada Petaling Jaya reserves the right to retain your credit card and/or debit card details as presented at registration and charge or debit the credit /debit card such amounts as it shall in its sole discretion deem necessary to compensate or make good the cost or expenses incurred or suffered by Hotel Armada Petaling Jaya as a result of the aforesaid. Should this damage come to light after the guest has departed, we reserve the right and you hereby authorize us to charge your credit or debit card for any damage incurred to your room or the Hotel property during your stay, including and without limitation for all property damage, missing or damaged items, smoking fee, cleaning fee, guest compensation, etc. We will make every effort to rectify any damage internally prior to contracting specialist to make the repairs, and therefore will make every effort to keep any costs that the guest would incur to a minimum. Hotel Armada Petaling Jaya reserve the right to take action against any guest or visitor found to have tampered or interfered with any detection equipment throughout the hotel, including detector heads in public areas, guest rooms, break glass points and fire extinguishers. Guests or visitors found to have tampered with any fire detection or fire-fighting equipment will be charged with any costs incurred by the hotel due to their actions and will be evicted from the hotel. Depending on the severity of the guest actions, law enforcement may become involved at the hotel’s discretion. Should the fact that fire-fighting or detection equipment had been tampered with come to light after the guest has departed, we reserve the right and you hereby authorize us to charge your credit or debit card for any damage incurred to your room or the Hotel property during your stay, including and without limitation for all property damage, missing or damaged items, smoking fee, cleaning fee, guest compensation, etc. Hotel Armada Petaling Jaya reserves the right to amend, modify, change, cancel, vary or add to these Hotel Policies/House Rules or the arrangements and content featured on our Hotel website at any time without prior notice. Please check our website regularly for updates to Hotel Policy/House Rules. Any modification to these Hotel Policy/House Rules that occurs before your departure is considered a part of your reservations agreement with us.